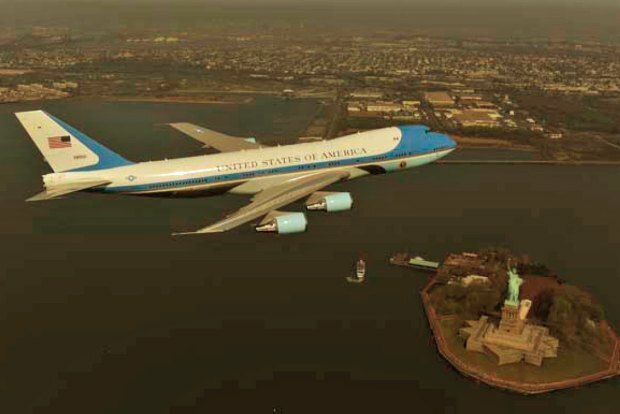 One of the president's official planes flies over the Statue of Liberty in New York. Responding to dozens of requests from the public, the Defense Department has released 146 more photos from the infamous Air Force One flyover that struck fear in thousands of unsuspecting New Yorkers in April. The photos are posted right on the Pentagon's Website, defense officials said today. The Pentagon also released a heavily redacted flight manifest.Click here for a summary of the juicy details. The April 27 photo-op caused quite a fright in Lower Manhattan and New Jersey, as many people who had lived through the Sept. 11 terrorist attacks thought the city was again under siege. Workers poured out of office buildings as the planes buzzed the city near the Financial District. 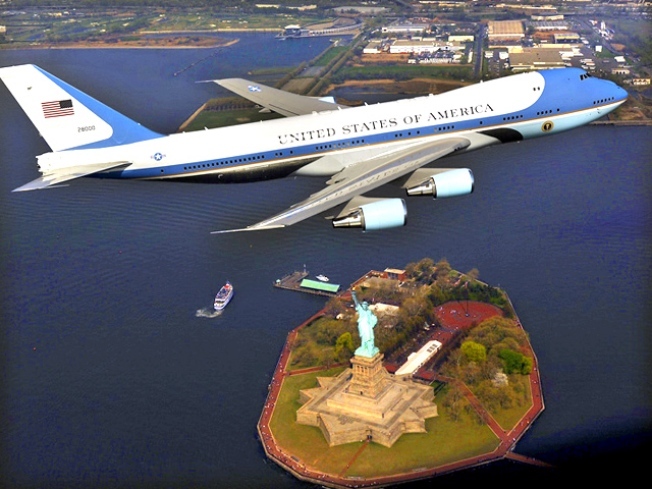 Local officials in New York and New Jersey had not been informed of the photo-op, which cost some $328,000, and the lack of communication and needless worry caused by the incident led to the resignation of Louis Caldera, the Obama official behind the stunt. In May, and after some hedging, the White House offered up an official image of the flyover and also released a report detailing the lack of communication ahead of the event. Defense Secretary Robert Gates had informed the FAA and multiple agencies in New York and New Jersey about the planned flight, but gave no insight as to whether local authorities were told not to share the information. Sen. John McCain, the ranking Republican on the Senate Armed Services Committee, called the incident an "Air Farce 1 photo op." Mayor Bloomberg also had firm words for the Obama team. "If I were them, I think I'd get less publicity by putting them out rather than by keeping them in," Bloomberg said. "They did not ask about coming up here and flying that plane around and they did not ask me about the photos either."